It's the 15th day of the first Lunar Month and it's the first full moon of the Lunar Year. This is the final celebration of the Chinese New Year but it's not a holiday in some places. One legend has it that a crane landed on a village in China. The villagers hunted it down without realizing it belonged to the Jade Emperor -- the highest Elder God. He wanted to crush the village but one of his daughters devised a plan. The elder goddess decided to suggest the village to hang red lanterns and blow up fireworks. This somewhat appeased the Jade Emperor and decided not to rain down the judgment of the Elder Gods for his favorite crane. Hmmm... the Elder Gods can be so petty can't they? Another story involves Hong Jun Lao Zu or the Ancestor of the Great Balance. If I'm not wrong his birthday falls down on the 9th day of the 9th Lunar Month -- or Senior Citizen's Day in China. The creature known as Nian was terrorizing the village. By having red colored clothes and firecrackers -- Nian was defeated and was eventually tamed. The evening ritual to conclude the New Year may include using air lanterns. 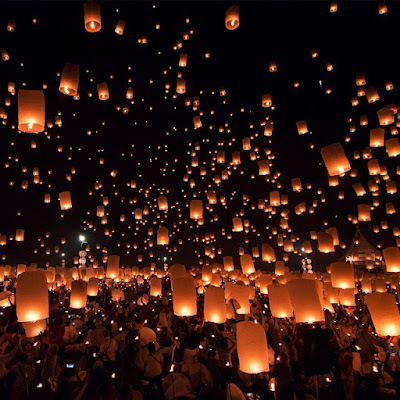 They are flying lamps that will float into the air thanks to the hot air. This is part of the ritual to celebrate today's ritual. You may also think of tang yuan which means soup ball. 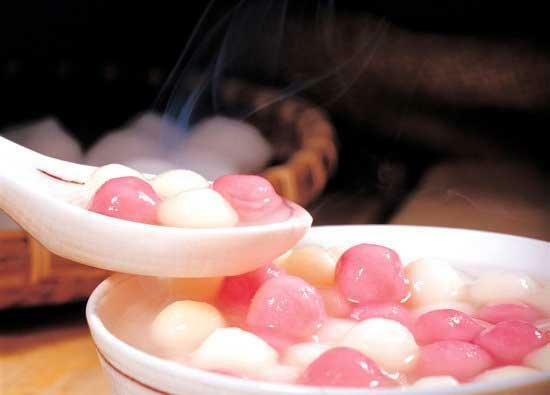 It's sweet glutinous rice balls usually filled with peanuts, sweet bean paste, sesame seeds or sweetened tangerine peel. It has some sweet syrup that goes along with it. It symbolizes family unity. 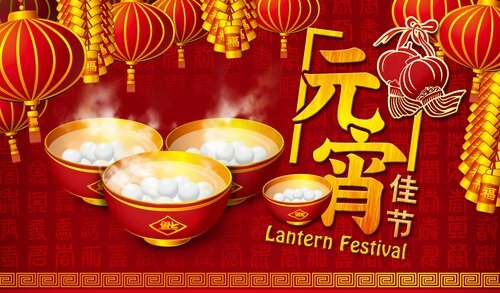 Happy Lantern Festival 2018 everyone!